Thermoscape is a key provider of HVAC systems for commercial and residential customers. Offering turn-key design, installation, and replacement of heating, cooling, ventilation, and refrigeration systems. We can reduce your operating costs through our custom Preventive Maintenance Programs. We offer 24-hour repair service for all residential and commercial HVAC systems, under our preventive maintenance contract. Request a quote by submitting an electronic form. 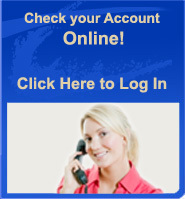 Request a service call by submitting an electronic form.